This is the side view of the Fuso Fire Snorkel Operated by the Sta. Cruz Fil. 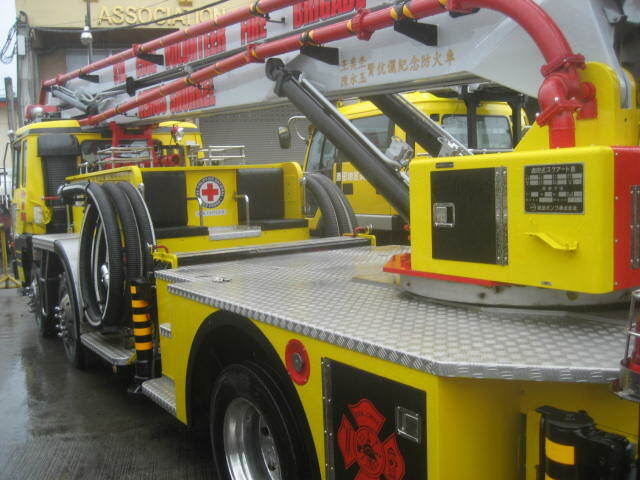 Chinese Volunteer Fire Brigade in Manila city. Added by Kiel on 29 July 2007. What is the overall reach of this snorkel? Added by Mike on 21 August 2012. Is the company C-Success still in business? Added by Jeff on 21 August 2012.